Andy, the boatyard manager, recently told me all the local hire boats are named after locks on the Kennet & Avon. So I wasn’t all that surprised when I noticed one of the local villages is named Ufton Nevet. Looking for variety I decided to include in in my most recent walk. I actually planned the route some days ago using the OS map service and posted how it was done on the blog. Yesterday’s walk was to verify the footpaths actually existed and the route was accurate using the “breadcrumb” function on the Garmin gps. Of course with my luck I’d only be walking 10 minutes when a steady drizzling light rain settled in and lasted until I was 200 metres from home. 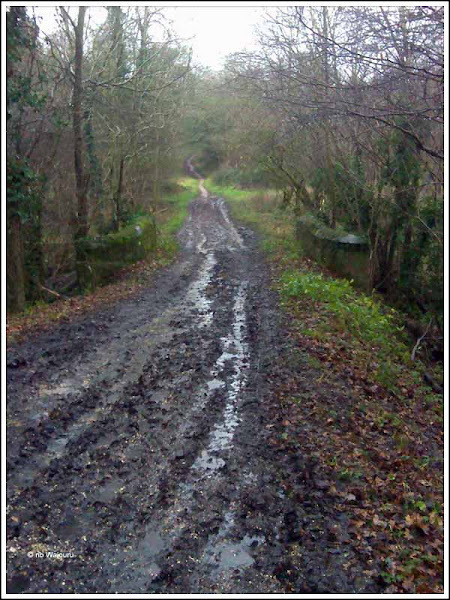 The walk was just over 14km and most of the footpaths were a sea of slippery mud. Today it’s fine with a clear blue sky…. Got the ‘walk’ day completely wrong! I took the expensive Canon DSLR with me but decided not to risk getting it wet by taking it out of my day pack. These photo’s were taken using the 3.2MP camera on the Garmin gps and I’m rather surprised at the quality of the photo’s. Eventually I came upon these interesting buildings. I particularly liked the narrow vertical windows in what I assume is a barn. The footpath turned to the left, however I fortunately turned and looked back, only then noticing the other buildings. That’s when I realised I’d reached Ufton Court Lodge, a Grade II listed building. 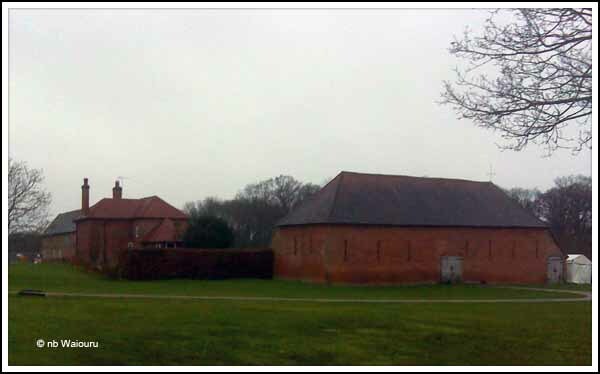 Wikipedia describes it as an Elizabethan manor house at Ufton Nervet in the English county of Berkshire. Today is it used by an educational charity. Its history can be traced back to the Doomsday Book. I was pretty much soaked by the time I made it back to the boat. However I didn’t feel cold as I’d keep myself moving and there was little wind to chill the air. A nice hot shower reinvigorated me in time for dinner.